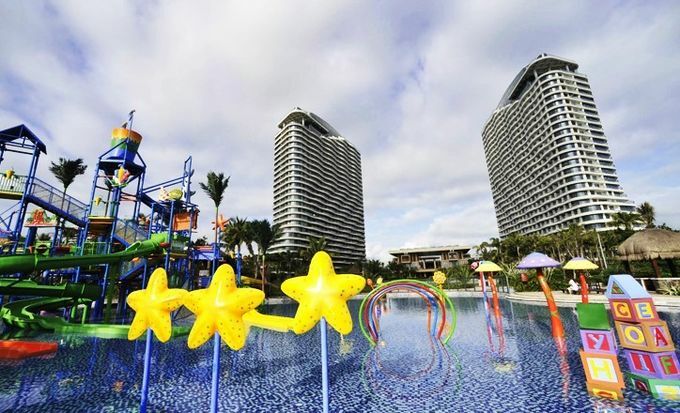 The Boao Asia Bay Water Park is located at the heart of Boao Coastal Avenue Resort. 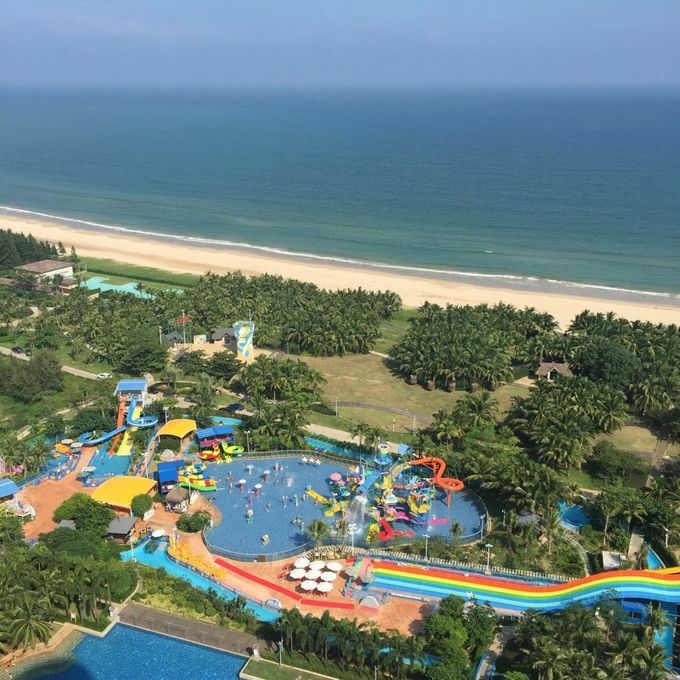 It is only 1800 meters away from Paradise Town Boao, about 3 minutes drive, where you can play with the baby, play and enjoy the water world! 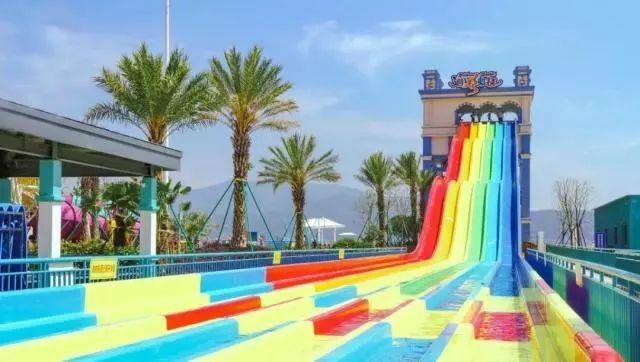 There are many big and exciting items in the park, such as super tornado water slide, mini tornado slide, drifting river, water slides, and joyful water playground villages. One of the most popular large water equipment, the tourists are slid inside the specially designed four-leaf type floating ring, sliding from a height of 16 meters to a huge horn cone with a diameter of about 21 meters, like The feeling of being sucked in by a tornado is especially suitable for tourists who like to experience fresh feelings. The length of about 700 meters, mainly let tourists lie on the specially designed floating circle along the river to relax, is the best choice for family and friends to enjoy leisure time together. The water surface of the project covers an area of ​​about 1000 square meters and the water depth is 30 cm. 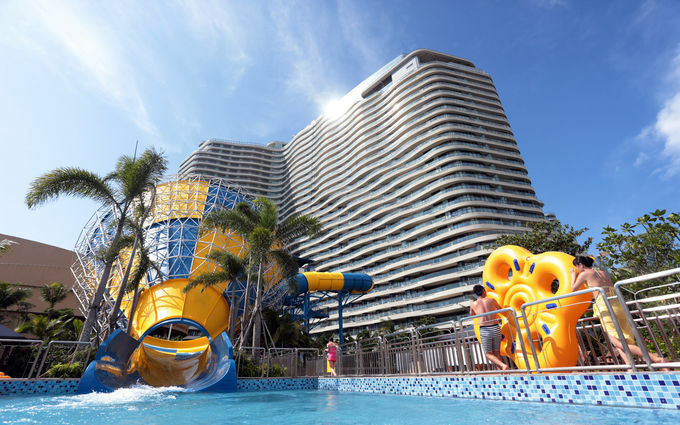 The pool has a water pressure plate, a hand-cranked turntable, a water-flowing pool, a water curtain tunnel, a water swing, a spiral slide, and a smooth water wave. Pools, large buckets, hand-controlled spray guns, etc. 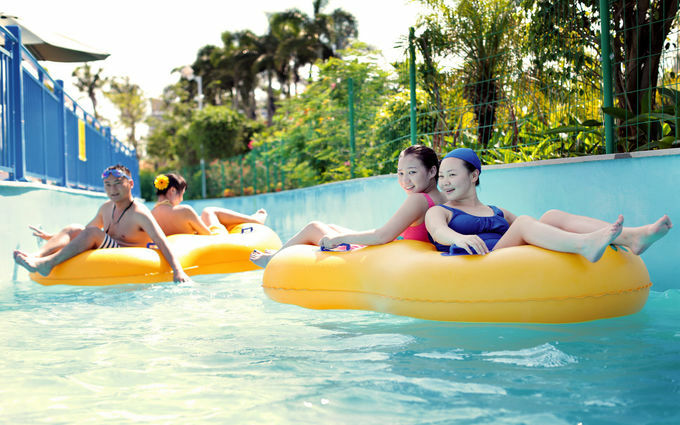 are especially suitable for children's water recreation projects. 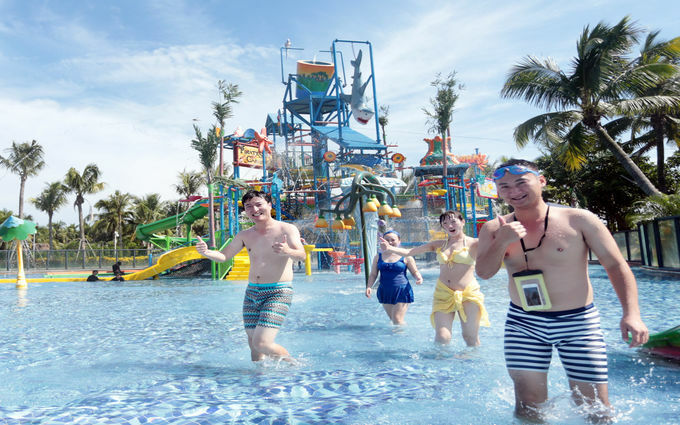 These novel and interesting water entertainment projects meet the needs of children and children, and they are loved by children.